The traditional January jobs boom saw advertised vacancies soar by a staggering 63.8% last month, according to the latest job market statistics from CV-Library, the UK’s leading independent job site. What’s more, vacancies also saw a smaller increase of 5.6% when looking at year-on-year data. “Our latest job market statistics are a bit of a mixed bag. While the figures seem largely positive for this month, we simply cannot ignore the fact that candidate applications are down year-on-year and it’s no secret that the government’s failure to agree an effective Brexit deal is the key driving factor behind this. Streamline your recruitment process: Make sure it isn’t too lengthy and communicate with candidates throughout. Otherwise you risk them losing interest or ghosting your company. Offer competitive packages: Today’s job hunters know what they want and that means your company needs to tick all the right boxes. Don’t just focus on salary; be sure to offer great perks, company culture and development opportunities. Target passive candidates: With less people actively looking for a job, you’ll have to work harder to coax professionals out of their existing roles. 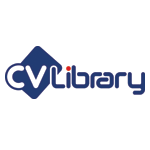 Try referral schemes within your business and use CV search to help find passive candidates. Build your employer brand: Another way to target both passive and active candidates - spend some time replying to feedback left on review sites and be sure to make the most of your social media accounts and company careers page. Get your onboarding process right: Once you’ve made a new hire, make sure you give them the training and inductions they need to settle into the role. Otherwise you risk them leaving early, putting you back to square one.